What is A Special Power Of Attorney For Sale Of Property? Selling a property is often considered a cumbersome process. It involves a number of activities ranging from getting all property related documents up to date, finding a buyer, drafting an agreement to sale, executing a sale deed and then proceeding with the registration. The matters get further complicated in case the registered owner of the property is out of town or is unable to attend the proceedings due to any other complications not limited to physical incapacity and old age. A Special Power of attorney is the popular choice for most prospective sellers who are certain to have difficulties in attending to the execution and registration of a sale deed. It is a preferred choice owing to the narrower ambit of rights granted to the attorney as compared to the general power of attorney. Let us delve briefly into the meanings of these terms. A ‘Power of Attorney’ is a legal document that results in the grant of authorisation from one person to another. The authorisation thus gained enables the person who receives it to represent the person who grants it in legal procedures. A Special Power of Attorney confers a set of limited rights on a person referred to as ‘Attorney’ to act on behalf of the ‘Principal’ to fulfill his/her legal obligations; whereas a General Power of Attorney bestows a wider array of rights on the Attorney. What Is Special Power Of Attorney For Sale Of Property? As the title suggests, a special power of attorney for sale of property is a document that enables a person to sell a property on behalf of another person. All the rights available to the person are limited explicitly in the document. Therefore the document needs to be drafted with precision. The rights usually revolve around the sale deed and registration of the same. The rights dealing with receipt of the consideration for the property are also specified in detail along with taxation formalities to be completed. What To Include In A Special Power Of Attorney For Sale Of Property? Any power of attorney, including a general power of attorney, begins with the brief acknowledgment of ownership and description of the property and declaration of the intention to sell it. Then, the reason for executing the power of attorney should be clarified and the details about the incapacity should be mentioned in detail. It may be that the principal is residing abroad, or in another town; it may also be due to physical infirmity or old age. The fact that the principal is a housewife can also be a valid reason for executing a power of attorney. The description of identities of both the principal and the attorney is given in detail along with their current addresses. The most important clause is the appointment clause which gives validity to the appointment of the second party as the true and lawful attorney of the principal. Negotiation, sale and execution of the Deed of Sale and necessary forms and papers relating to the execution of the sale of the property. Declaration of the value of the property before the Sub-Registrar for purposes of registration of the sale deed. Receipt of the consideration payable by the Purchaser under the deed of sale and passing of a valid receipt for sale to the purchaser. Execution of any other document incidental to the Deed of Sale if required by Law. Facilitating a formal possession of the said property to the purchaser by handing over vacant possession of the property. Preparation of accounts of the amounts payable and receivable on the property and adjustment of such receipts, and payments to the consideration payable by the Purchaser. Appearing before the Sub-Registrar of the district and presenting the sale deed for registration, admitting the execution of the deed and doing any act that may be necessary for the registration of the said document, receiving it back when it has been duly registered, signing and delivering of a proper receipt for the same. A special Power of Attorney for Sale of Property can be drafted and printed on a plain paper since it is a compulsorily registrable document under the Indian Registration Act, 1908. Therefore, the stamp duty shall be collected in the prescribed format and embossed on the paper while registering the same before the concerned Sub-Registrar. If the Power of Attorney is being created in a foreign country, it needs to be printed on a plain paper and taken to the appropriate Indian Embassy or Consulate in that particular country to get it attested by the authorities before sending it to the attorney who may get the document registered in India. The attorney may then proceed with the creation of the agreement to sale and then subsequently the sale deed along with registration of the same. The consideration or payment can be received on behalf of the principal and then be transferred to him/her after fulfilling tax responsibilities. Do You Need a Special Power Of Attorney For Sale Of Property? All you need to do is to identify a trusted person as your attorney and we shall take care of the rest. The rights granted under the document shall be carefully scrutinised so that you may be free from worries. 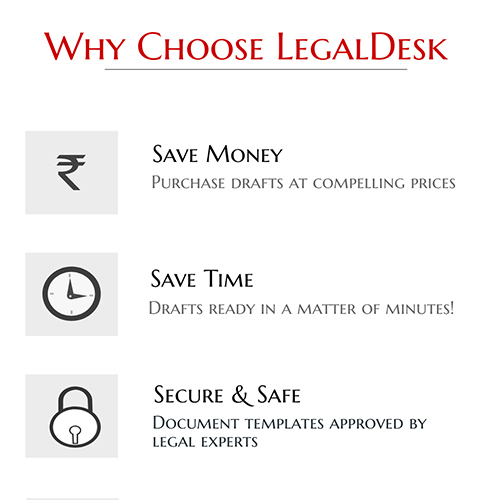 If the intention is only to sell a particular property, the best document for your purpose would be LegalDesk.com’s Special Power of Attorney For Sale Of Property. In order to get a customised document for your particular needs, click the button below and place a request and our support team will be happy to come up with a customised draft suiting your needs. There are 2 comments on "Special Power Of Attorney For Sale Of Property".